Spark A Conversation: Veteran Candidates & Their Video Resume: How Do I Hire Them? Spark A Conversation: Veteran Candidates, How Do I Hire Them? One of the best ways to evaluate veteran candidates is to make sure you can properly read a military resume. Most military resumes are filled to the brim with abbreviations and titles, which will be unfamiliar to most civilian hiring managers. Instead of passing on a talented candidate just because you can’t understand the resume, take some time to research what these terms mean. Know the difference between the military ranks in order to hire great veteran candidates with transferable skills. A video resume can be a great way for veteran candidates to explain how their skills and qualifications will transfer over into a civilian workplace. Using a video resume, a veteran candidate can explain their experience and how it can translate into great value for your company. In addition, the video resume will help you see the candidate’s communication skills and personality, allowing you to ascertain organizational fit more quickly. A big problem for many companies when it comes to attracting great veteran candidates is that they don’t adequately tell their company’s story. Many of these great job seekers might pass your company by if they can’t see a place for themselves within the corporate hierarchy. Most companies have a variety of roles requiring a variety of skills. Make sure your company pages, social media footprint, and recruiters are highlighting all the different roles available to candidates. A candidate might have explained a bit of their military experience in their video resume, but this doesn’t mean it’s open season to ask your veteran candidates uncomfortable questions about their service. Whether you’re utilizing video interviewing (more on that below) or a more traditional in person conversation, there are questions you’ll want to steer clear. For instance, you might ask veteran candidates about the action they have seen in battle because you are curious. But they might think you’re asking because you want to find out about a hidden disability. Be careful to keep your military questions related specifically to job functions and experience which applies directly to the job at hand. Military personnel looking to transition into the civilian workforce often start the process before leaving the service. This means your talented job seeker could be located in a far off region of the globe. This is where video interviewing can really help. Now, using the power of online video, you can have a conversation with top talent regardless of where they’re located. Video interviewing is making it easier for our veterans to find work, even when stationed far away from employers with great jobs. Do you have a question you need answered? 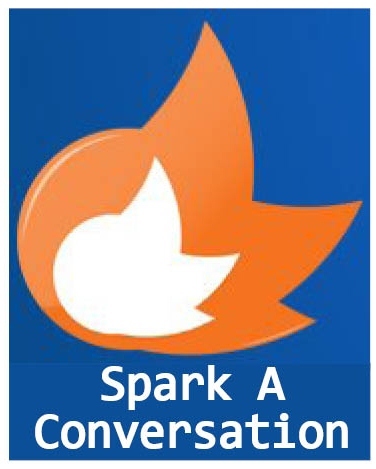 Spark a conversation with the Spark Hire team by submitting your question to blog@sparkhire.com or in the comments below. Spark A Conversation: Ways to Use Video Interviewing for Collaboration?